Wats are most often inviting places. But this particular Wat where I’m sitting, Pich Mkot Temple, on the other side of the River just a short ferry ride from Phnom Penh, offers much more. Asian cities can be crazy places. Noise, traffic, smoke, rivers of people and the colour and odour explosions of local markets. This temple in Areiksart is a serious retreat from the chaos of Phnom Penh, Cambodia’s capital. 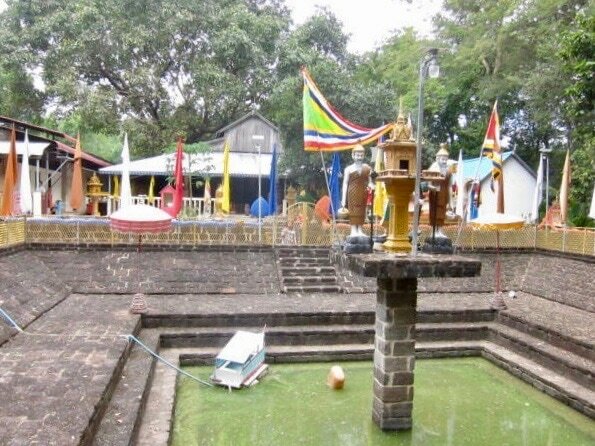 Pich Mkot Temple is quite old. People say around 100 years which may sound a trifling history given the thousand year age of Angkor Wat, but this was in the heart of the Khmer Rouge wars and the country side was devastated then. But what is truly stunning about the place is the surrounding park it occupies. Near the capital, land is at a premium and in some cases, not even available. 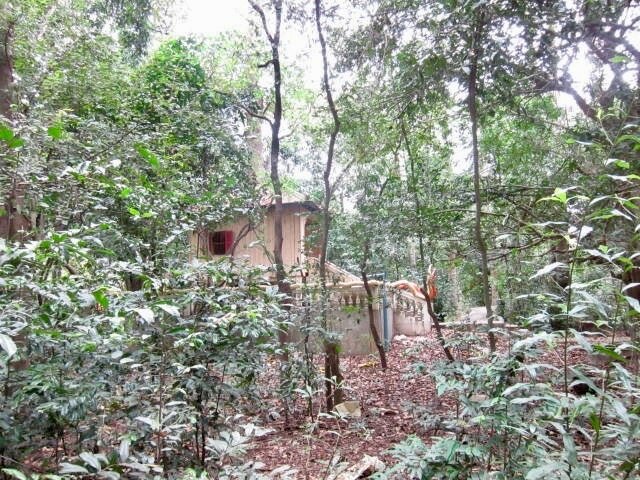 ​This Wat has 15 hectares. The monks bought whatever land becomes available around the Temple at a time when land in Areiksart, where the Temple is located was still affordable. Besides, the locals told me that land owners sell their land to the Temple for just half the price to gain merit hoping that luck and good fortune comes to them. As soon as it was bought the monks planted trees, all through the property. Today, these trees have grown and they provide the much appreciated dappled shadows along the pathways throughout the property, spread like veins in a leaf. 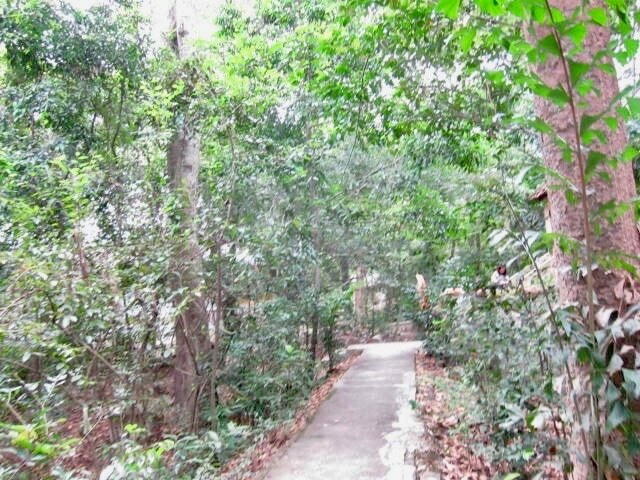 Visitors are welcome and they can easily navigate the trails laid out by the monks so long ago. 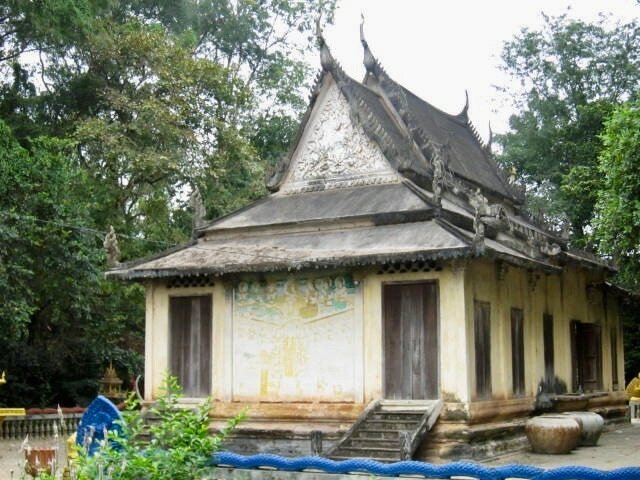 As you enter, the old Temple there is the classic sentinel to the Buddhism that is at the core of Khmer village life. Following the main pathway, you’ll find spirit houses where devotees make offerings, meditation houses and houses where old people with no families live. So if you are visiting Phnom Penh, anytime you need a retreat, take the ferry to Areiksart and ask a tuk tuk to bring you to Pich Mkot Temple. You can spend a few hours feeling a part of a Cambodia that stretches back into history and gives a flavor of life in villages before the onslaught of cities. Make sure you bring some food, a large bottle of water, an ear covering hat and spray to ward off mosquitoes. For more on Areiksart, click here. While you're in the island, know more about ikat weaving from families who have been practicing this trade for generations.